The Starla was developed to create a design that meets your needs whilst upholding the Stannah values of quality, reliability and safety. 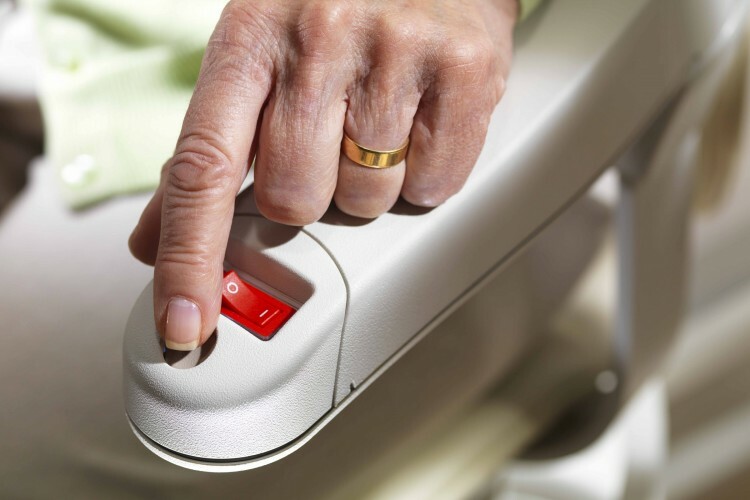 A seatbelt that can be fastened with one hand is just one of the many features of the Starla. 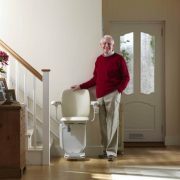 Also included are sensors that bring the stairlift to a gentle stop if the stairlift is obstructed and removable keys to immobilise the stairlift if required. 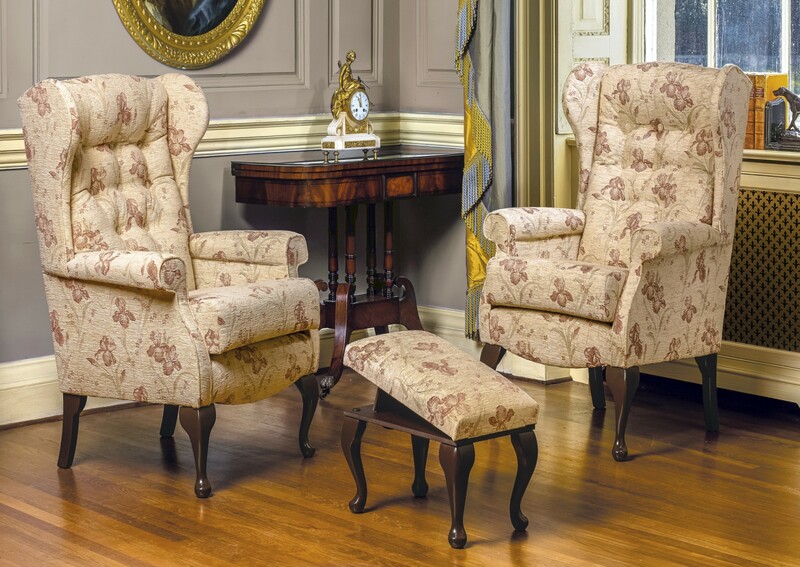 Bending down to lift the footrest is an unnecessary inconvenience, which is why the Starla comes with a manual lever as standard on the curved product or a seat-to-footrest link on the straight product. 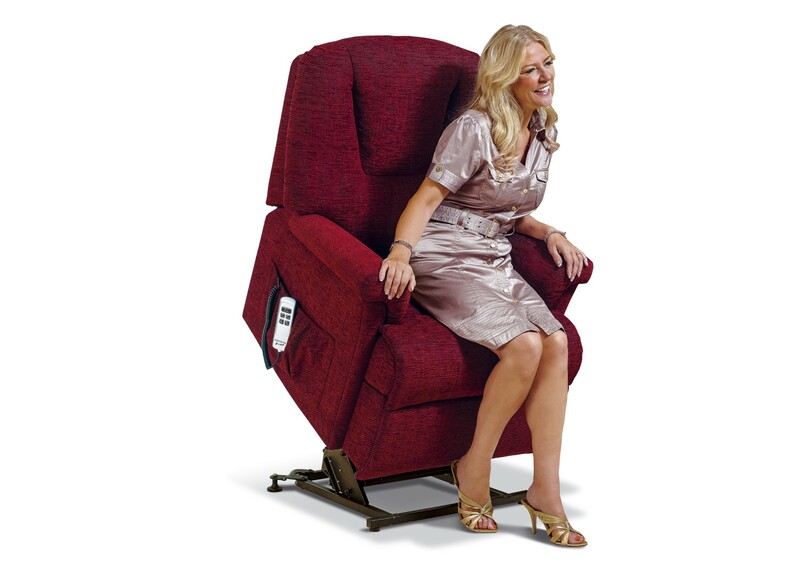 Alternatively, there is an option to have an automatic footrest fold button in the arm on either straight or curved products for ultimate convenience. The Starla can be tailored to your specific needs and taste. 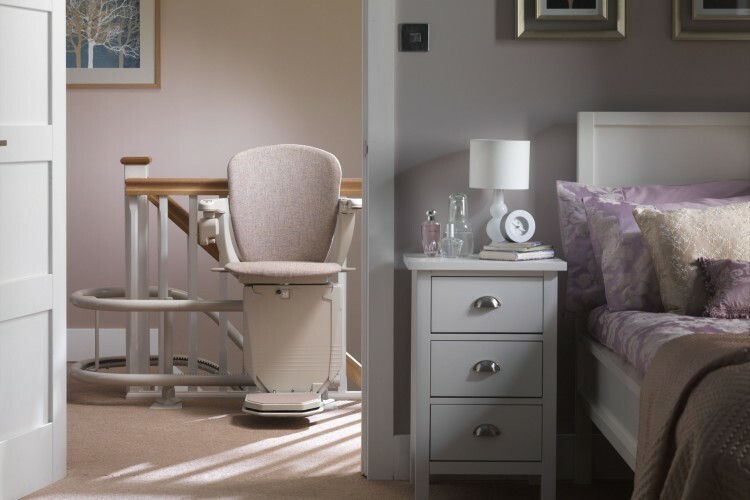 Choose from different trims, upholstery options and even rail colours to ensure the stairlift fits with your decor. 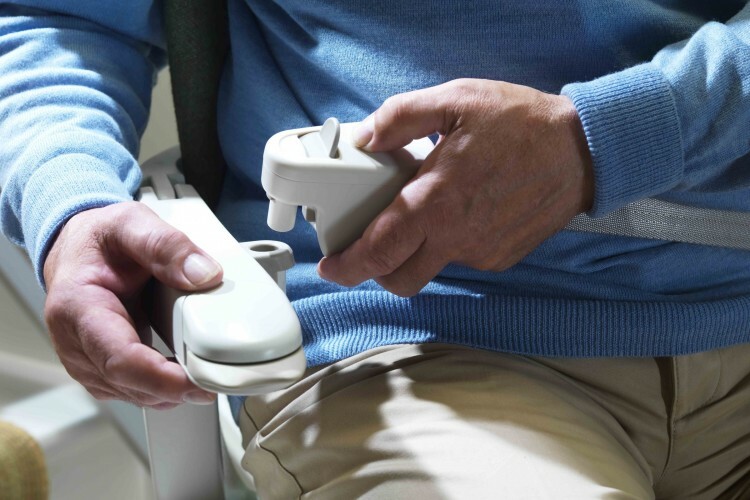 Additional features such as automatic swivel seats and different style seatbelts are also available. 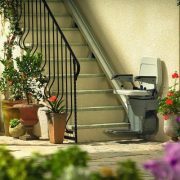 The Starla is highly versatile and can be installed on a huge variety of staircases whether they are straight or curved. Our slimline straight rails are made to measure while our curved stairlift rails are crafted to fit the exact contours of your staircase.